Pink Floyd made it into musical halls of fame and record collections everywhere with a brand of perception-bending rock that was totally unique for its time. Floyd combined blues, jazz and rock into a new sound that would define a generation. California’s dredg is today’s Pink Floyd. 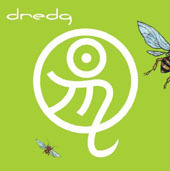 Blending influences as diverse as emo and surf rock, dredg has created a sound that is uniquely their own. On their third album, Catch Without Arms, the quartet continues to perfect their attack. Where dredg’s other two releases, 1999’s Leitmotif and 2002’s El Cielo were very meandering, Catch runs a definite course and comes together as a complete album. Terry Date (Deftones) did a great job producing with each song working as a standalone track and an element of the record as a whole. He brought the emotion and power out of Gavin Hayes’ voice and laid it on a lush canopy of warm guitars and smooth grooves. The result is an album that goes down real easy and leaves a pleasing aftertaste. Songs range from the urging “Bug Eyes” and “Tanbark” to the spacey “Not That Simple” and the sorrow-filled “Sang Real”. The commercial success that Pink Floyd found might not be in the cards for dredg but the modern band is certainly prepared for it. With open choruses and pop sensibilities, dredg’s music has already built a huge underground following that can only grow as the band puts out more releases like this.